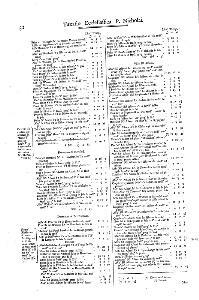 Taxatio Ecclesiastica, published by the Record commission, 1802. Pope Nicholas IV granted to Edward I, towards the expenses of a crusade for six years, the first-fruits and tenths of all ecclesiastical possessions which had previously been paid to Rome. 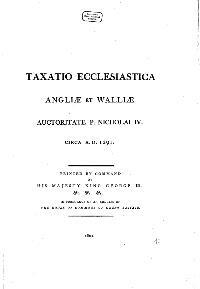 caused a valuation roll to be drawn up, which was completed in 1291 - the Taxatio Ecclesiastica. In this document on page 52 the Prior de Rypingdon can be seen listed at Grantesden (Great Gransden) ... this is another example where although originally associated with the priory at Repington that the variant of the name used by the monks is Rypingdon (and in some documents Rypyngdon), which eventually became Rippington ... this same land now being known as Rippington Manor. See the 'Rippington Family Origins' page on this web site for more details.